Many people are still wasting their precious time by using social networking sites. Hope you guys agree with me! On the other hand, many people are having a hobby of writing articles on their website to make money. 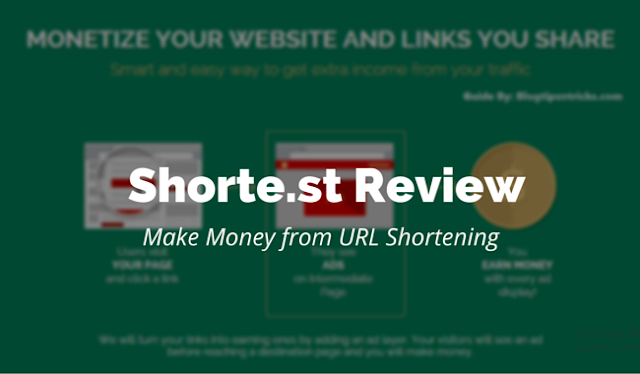 If you are looking for some simple ways to earn money online then you must check out this article where I tried to recommend how Shorte.st is a best URL Shortening tool that pays well to its publishers. For using and earning from this tool you don't need to be the computer geek or SEO Marketer. Just if you have good numbers of Social followers or you have good traffic sites or you must be affiliate geek to use this tool to earn some extra bucks per month apart from your regular online income. Similar to other link shortener tool, Shorte.st works alike and helps its 400K+ registered users to earn online. Shorte.st will pay its users for shortening a link using this tool. By creating only shorten links one can’t earn, they need to share the link as much they can and when they get some clicks to that link they will be rewarded with the certain point which results in revenue. In short, shorten any links with Shorte.st tool and make others visit through your link and get paid easily. Shorte.st tool was developed by Polland based crew with their main motto to help webmasters to make money in a better way. As I told before, if you want to earn money quickly then you should try Shorte.st platform. Here in this post, I've described a lot about its feature along with its payout rates by comparing with like adfly and with other ad-networks. So without wasting any more time, let's get started. Shortening links and making money is one of the easiest methods to earn around $80 a day, just by shortening links using this tool. Cool isn't? I have seen many online tools for shortening the urls, but Shorte.st is the best URL Shortener for all beginners. Do you want to try it? Want to make money online? Then before trying, do check out the below section where I have listed some of the best features of Shorte.st tool online. 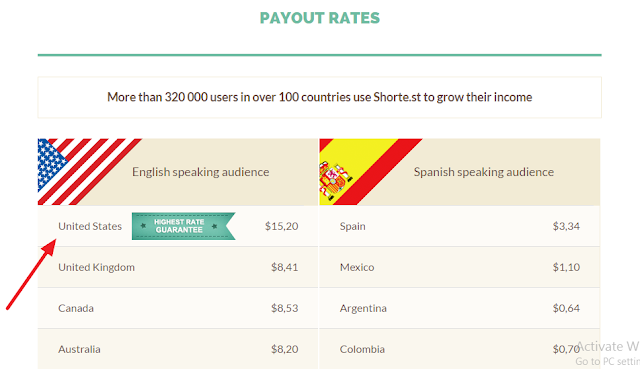 When compared to its competitors, Shorte.st is paying best rates for its users. It is paying around $15.20 per 1000 views once the maximum traffic from United States and their rates also varies from country to country. If you getting traffic from English speaking countries, then you will get some extra commission than normal ones. And you will be getting 5$ as minimum payout on time. As Shorte.st is popular all over the world making payment is an easy task for them. And they prefer payment done through online methods using Paypal, Payoneer and other sources. Shorte.st tool allows the users to shortened any URLs and those users have best CPM ads. It also has the good range of converting ads when you use this tool. 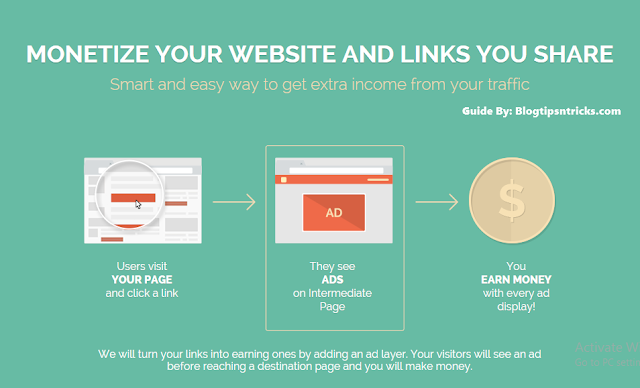 So it let the strangers click your links easily which gives you good revenue. And it also got some wide range of add-ons which help to manage your ads easily. A separate dashboard will be given where you can manage all your ads and your payments with few clicks. And those ads too have good CPM rates. Which let you earn more easily without working hard for several hours to earn online? Shorte.st has a dedicated customer support where they are always ready to help their users. If you are facing any issues while using this tool then you can contact them to fix all the issues related to it. Moreover, you will get some tutorials to increase your shorte.st revenue more. These three features make me feel great about Shorte.st tool. So I highly recommend you to give a shot! Visit their home page and click on "Join" button. 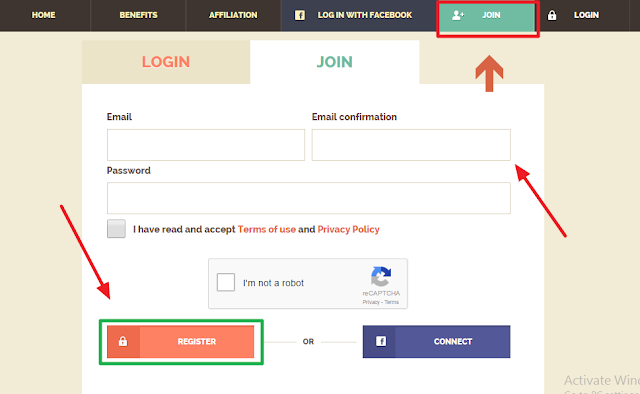 Then you will redirect the Sign Up page. There just fill the required details and log in again to your dashboard. Then confirm your mail id by clicking the confirmation link sent to your inbox. After confirmation, you are ready to start using this tool. Now start shrinking your links and share it to get more exposures on social media, blogs, newsletters, blog comments and anywhere else around the web. That's it! You're done! If you are looking for some simplest method to make money online, then this will be your only way. Give a try to Shorte.st and it will surely change your life. As the bonus, you will be paid for referrals, Join Shorte.st through your referral links. The commissions will be around 20% for each referral. What's your view about this tool? Share it with us in comments below! Article Curation by InboundMent Team - A Premium Content Marketing Agency which helps Brands to get connected with Bloggers/Influencers. I'm monetize my share links included Other Blog Links, YouTube Links and make around $1-$2 already but i'm not using on my blog....Soon i will get paid. Learn How To Make Money Online ? Hello chandeep! its nice to read another helpful post from you. I will definitely try it out. Have a nice day. Not getting. Please guide properly. How does it work and what we'll have to do,shortening each links or just add scripts as it is showing website scripts,social share scripts,blogger comment script etc. you can use any of those method which works for you. I personally think shortening each links and blogger comment script are good idea. Especially shortening each links are good if you site provide downloadable files like free music, games, softwares, movies, themes, etc. P.S. Don't use website scripts since it'll shorten all(most of the link if filtered) it can be annoying for users. Here is my blog on which i will give it a try. I think by using this method on your blog, yout traffic become low and you may lost your valuable visitors because they don't want any junk ads on the page.